Donald Stewart Jnr, left, and Donald Stewart Snr, right. 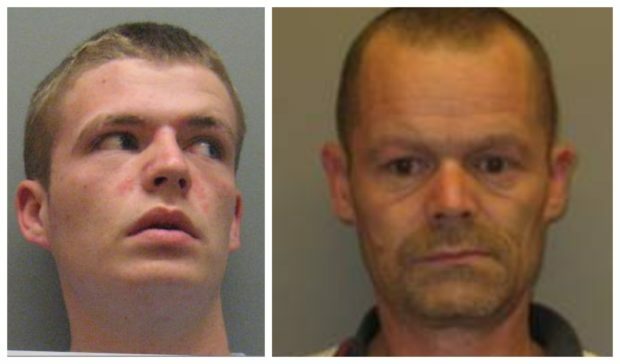 Police have launched an urgent appeal for information to help trace two men following a serious incident in Inverness. Officers are urgently hoping to trace Donald Stewart Snr and Donald Stewart Jnr, in order to assist police with their investigations into a serious incident which took place on Sunday August 19. Both men are primarily based in the Highland and Moray areas. However, it is believed they may also travel further throughout Scotland and the wider UK. Donald Stewart Snr, 47, is described as being white European, approximately 5ft 11ins, with fair/blonde hair cut very short. He has tattoos on his right arm including ‘Kelly,’ a heart scroll and an image of a devil. 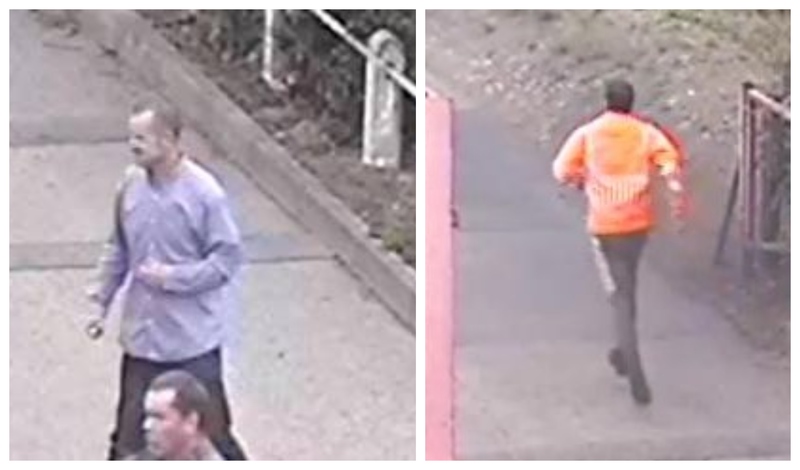 CCTV images have been released by the police. Donald Stewart Jnr is described as being 24 years old with fair/red hair, a thin build and psoriasis patches on his face. Both are known by the nickname “Blocker”. Detective Inspector Eddie Ross said: “Significant police inquiries have been carried out in relation to this incident and in an effort to trace the two men. Anyone with information can contact police on 101, quoting NN9222/18.